Notts County have signed midfield pair Kevin McDonald and Conor Clifford on loan deals. 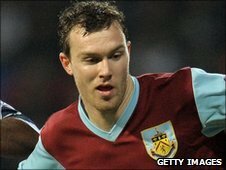 Burnley's McDonald, 22, will stay at Meadow Lane until the end of the season, while Chelsea's Clifford, 19, joins for a month. McDonald was on loan at Scunthorpe earlier this season, scoring once in five appearances. Clifford is in his third full season with Chelsea and was captain of the team that won the FA Youth Cup in 2010. He spent time at Plymouth earlier this term but the deal could not be extended because of their transfer embargo.